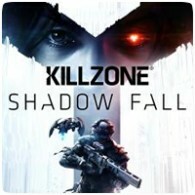 Sony has revealed that PS4 exclusive, Killzone: Shadow Fall, has sold an impressive 2.1 million units worldwide since launch. The game has been available for approximately 2 and a half months and has yet to launch in Japan. The sales figure was helped by the fact that the game was bundles with the PS4 in at least two varieties. Shuhei Yoshida released a small statement about the sales figure. The game will release in Japan in late February alongside the PS4, so it will be interesting to see how the sales increase in coming weeks.